Image formats can have a significant effect on load times, but manually determining the optimal format and encoder settings for every image can be complex and inefficient. 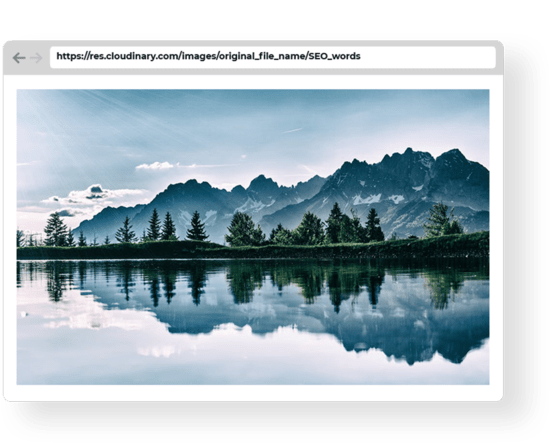 Cloudinary dynamically determines and delivers every image in the most efficient format based on its content and the browser. 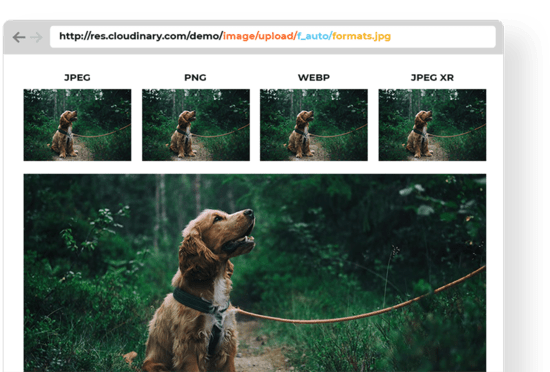 This means you can automatically deliver images as WebP to Chrome or as JPEG-XR to Internet Explorer. Cloudinary may also select PNG when that format better fits the image content. Precise adjustment of compression quality and encoding settings can significantly reduce the file size without degradation in quality. Identifying the right settings for each image, however, is more complicated than it seems. 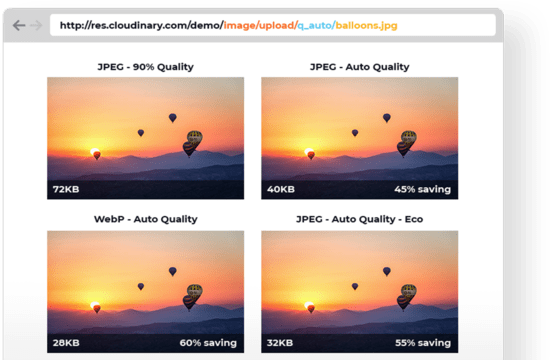 Cloudinary automates the file-size versus quality trade-off decision. Encoding algorithms analyze every image to automatically find the optimal balance and produce a perceptually fine image while minimizing the file size. You can further control the quality compression by adding a simple transformation parameter: best, good, eco, or low. Delivering images at dimensions larger than the required display size uses unnecessary bandwidth and slows down the page load. But manually pre-creating multiple versions to fit various screen resolutions can be resource intensive. 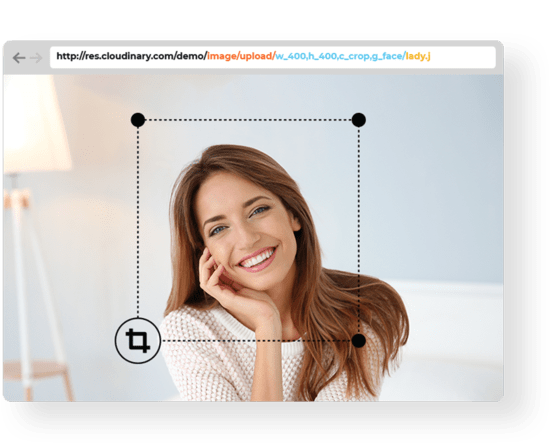 Cloudinary dynamically scales image resolution on the fly to serve the optimal version that matches each user’s device resolution and viewport dimensions, without delivering unnecessary pixels. Images often require cropping to fit responsive layouts and diverse device dimensions. Cloudinary automatically detects the regions of interest and can dynamically crop images, without losing focus on important content. Accelerate the delivery of content to visitors all around the world by caching content across thousands of global delivery servers. 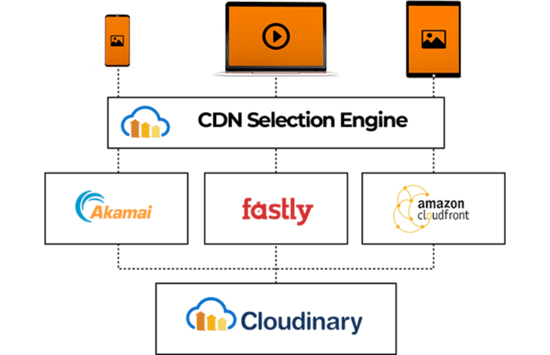 Leverage leading content delivery networks (CDNs)—Akamai, Fastly, and CloudFront— without integration or maintenance hassles. Deliver content from thousands of worldwide edges to ensure faster page loads and effortless scaling. Don’t settle for a single CDN. Deliver content through multiple CDNs that, when combined, offer a comprehensive global delivery solution ensuring a fast, consistent, and reliable user experience. 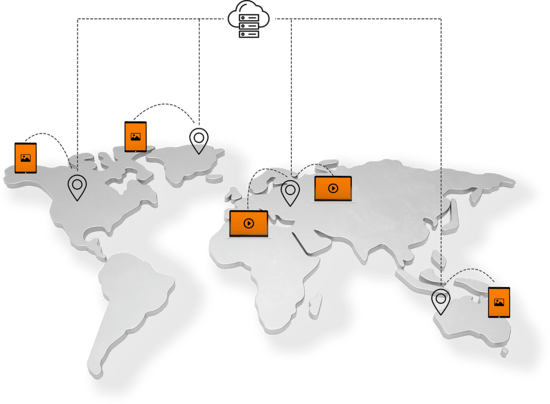 Through real-time monitoring and performance analysis, Cloudinary dynamically switches between different CDN providers to route traffic on the fastest-possible path. If a particular CDN runs into issues, such as a system-wide slowdown, Cloudinary routes around it. Efficiently deliver content without having to integrate individual solutions or maintain configuration- sync and load-balancing across different networks. Customize delivery URLs to leverage your own domain with a flexible, SEO-friendly naming convention. Dynamically add different suffixes to create multiple, descriptive URLs for the same image. Those URLs enable you to describe the specific content for search engines or to support different languages for a single image. Concise and meaningful file names allow search engines to interpret the content, thereby optimizing SEO rankings.